The folks at Triad Stage in Greensboro are hoping that the answer is "yes" as they kick of their 13th season with Frederick Knott's Wait Until Dark. Dubbed "the lucky season," this year Triad will feature performances of such wide-ranging fare as Eugene O'Neill's Anna Christie, Shakespeare's All's Well That Ends Well, the musical Pump Boys and Dinettes, as well as new plays The Mountaintop and Snow Queen. If the season opener is any indication, we're in for a fantastic year of theatre in downtown Greensboro. 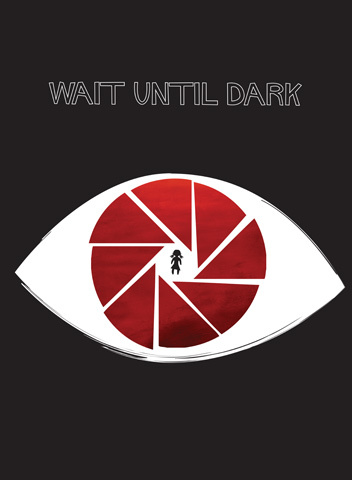 Audiences may already be familiar with the story of Wait Until Dark through the 1967 film adaptation starring Audrey Hepburn and Alan Arkin, but you haven't truly experienced Knott's story until you've experienced it up close and personal. Mickey Solis, Laurence Lau, Rob Kahn and Cheryl Koski. The senses play a huge role in this tale of Susy Hendrix (Cheryl Koski), a blind woman who accidentally and unwittingly comes into possession of a doll filled with heroin. Three dangerous con men want the doll, and they want it badly. One in particular, Mr. Roat (Laurence Lau), is a seasoned gangster who plays the other two into his own sadistic game. Determined to get the doll for themselves, the three concoct an elaborate plot to fool Susy into giving up the doll. But as Susy begins to get wise to their game, they are forced to take a more drastic approach, leaving Susy defenseless against their scheme. Or is she? Suddenly on her home turf, the con men find themselves locked in a battle of wits against a woman who lives her life in darkness, and where your most valued senses can't be trusted. Director Preston Lane uses all the theatrical techniques at his disposal to ratchet up the tension to a shattering climax played out in a pitch black theater. The use of lighting by Norman Coates, even at its most bare minimum, is absolutely stunning, accentuating the importance of the play's excellent and wickedly effective sound design by Jonathan Fredette. The play is a true sensory experience, reminding us how we often take our senses for granted until we are deprived of them. Thrust right into the middle of the action, the audience becomes a part of Susy's ordeal, which makes it all the more suspenseful. It doesn't hurt that Koski's performance is so devastatingly believable; an appealing mix of sprightly charm and emotional heft. Pitted against Lau's coolly detestable villain, along with a more sympathetic Mike Talman (Mickey Solis) and his somewhat bumbling cohort, Carlino (Rob Kahn), Koski shines amid an enormously talented cast. Whereas most theatrical productions emphasize what you see, Wait Until Dark often deprives us of that which we often take for granted, giving the audience a wholly unique and terrifying experience. There's something almost cinematic, even Hitchcockian, about its marriage of sound and visuals to tell a story, allowing the audience to see that which the protagonist cannot. But when we are all plunged into darkness and placed in her shoes, it makes for some truly thrilling theatre. 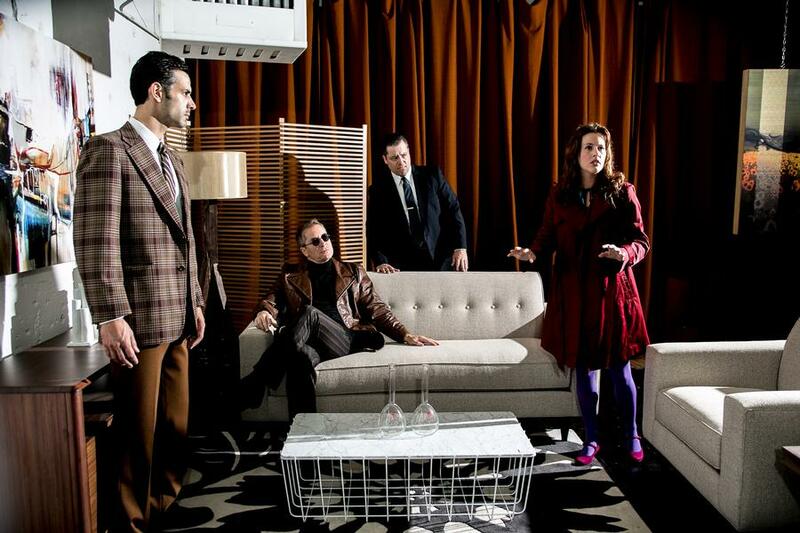 Wait Until Dark runs from Sept. 6 through Sept. 22. For more information or to purchase tickets visit www.triadstage.org, or call the box office at 336.272.0160. Blu-ray Review | "Autumn Sonata"